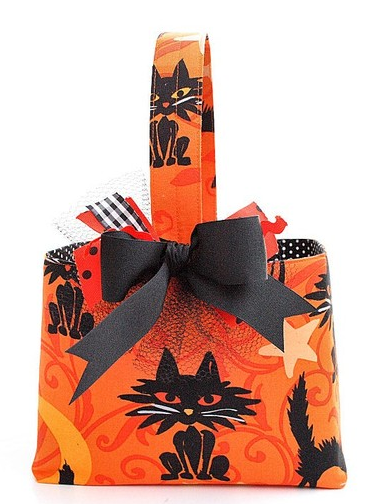 Now that we're moving into October, it's time to admire some Halloween-themed items. I live in Half Moon Bay, where pumpkins are a Big Deal. 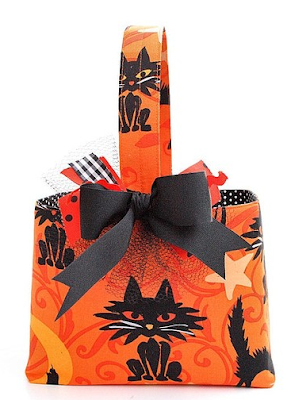 And Halloween has always been one of my favorite holidays - so it's been a special delight to find these products. 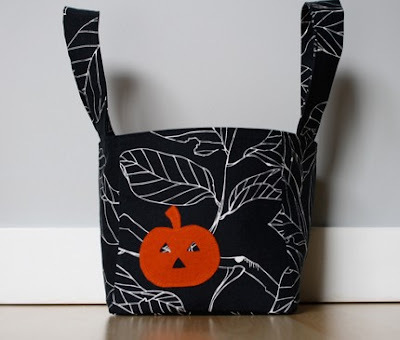 Smidgebox has a smaller selection of Halloween buckets; this one was the most popular design last year, so it's back for this year. 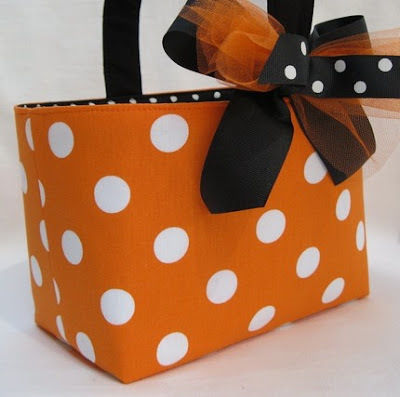 Update on Oct. 10, 2014: The Smidgebox Etsy store is not taking any new sewing projects at this time. Here's one of the Halloween baskets from Sew Gracious. 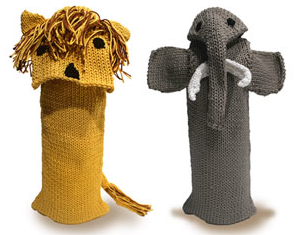 Update on Oct. 10, 2014: Sew Gracious is not making this type of product any more. And here's a Halloween basket from Lee Anne of ladesigns2. The four prior buckets and baskets all come from individuals selling through Etsy - one of my favorite places for finding neat products. 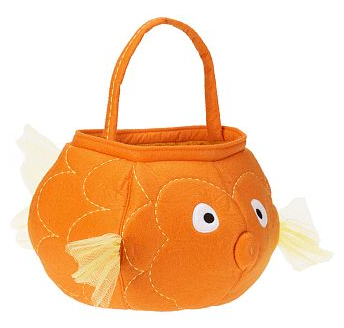 But Pottery Barn Kids also has some darn cute treat bags, including this goldfish! Being uncluttered and organized does not mean you need to be a minimalist. It does mean surrounding yourself with things you love - and making sure your possessions fit well within your space. Actually, the book includes a number of unusual and appealing collections: lovely mugs with the name "William" collected by parents of a William, antique bowling pins, items all shaped like a circle. It's a reminder that well-curated collections can be a lovely addition to a home. And especially for a family with children, I can see the appeal in decorating with family photos. 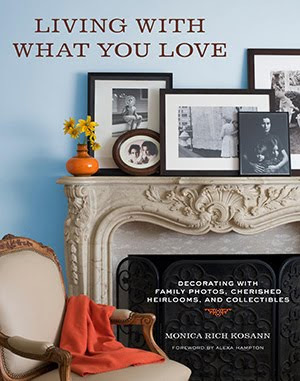 I liked author Monica Rich Kossan's suggestion for creating a Happy Hallway that speaks to the children of the love within the family - so they get that message, however subliminally, all the time. Finally, here's one thing that really caught my attention. 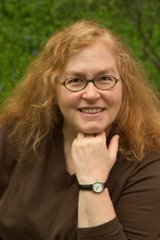 Kosann writes of items needing to earn the right to be part of your "family landscape." That's something for all of us seeking uncluttered homes to keep in mind - no matter how we choose to decorate. 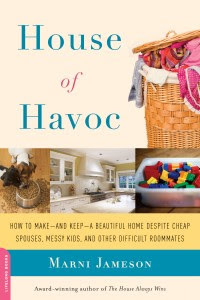 Marni Jameson's House of Havoc only has a few chapters dedicated to decluttering and organizing. And while the organizing advice is solid - she consults with experts such as Barry Izsak - there's nothing new here. The main attraction in this book is the stories - such as the one where Marni helps her mother - who is in her eighties - clean out her clothes closet. She has outfits with oversized shoulder pads from the 1980s, when it was fashionable for women to look like armadillos, shoes with three-inch heels she can't walk in, and what's this - old maternity clothes? "I'm all for medical miracles, Mom, but seriously?" "I thought they'd make nice drapes." There's also the story about finding her daughter's birth certificate; reading this one motivated me to get Jameson's book from the library. Want some beautiful wrapping paper? San Francisco's Japantown is one place to get it - and my out-of-town guest was delighted to buy some this past weekend. 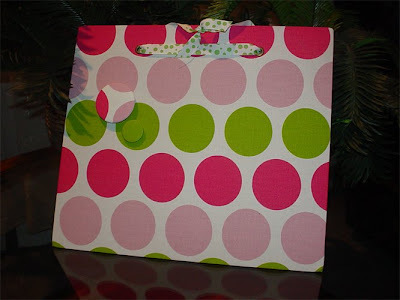 But while the beauty of the paper was tempting, I realized that the simpler approach of using gift bags often suits me better. No struggle to wrap an odd-shaped item. No cutting, folding and taping - and no fussing around with ribbons and bows. 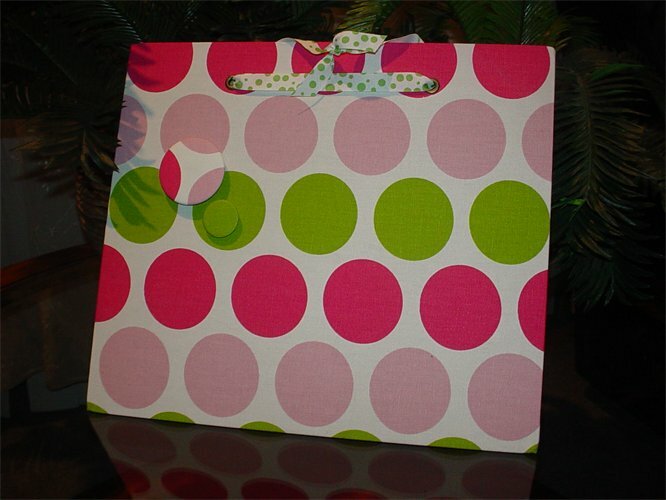 And gift bags are readily reusable, too! 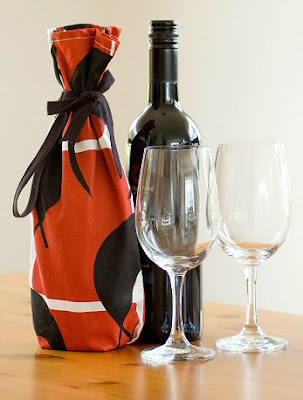 And since wine can be a wonderful "consumable" gift for the right recipient - my brother got me a wonderful bottle of champagne for my last birthday - let's look at some unique wine gift bags, starting with the amazing wine bottle gift bags from the North Wood Blanket Co. They're made from recycled wool sweaters! 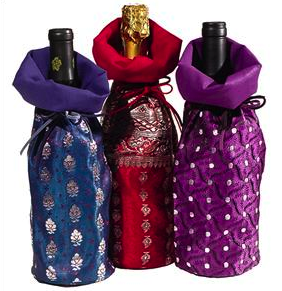 You can also get wine gift bags made from vintage saris. Ingrid Anderson of New Zealand has some stunning wine bags. 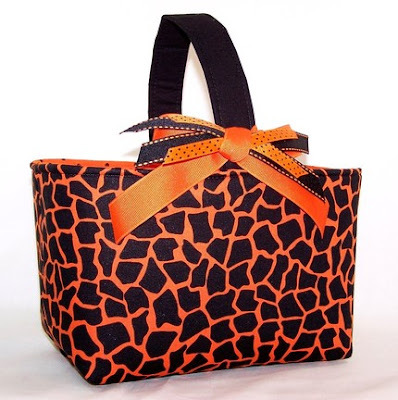 Update on June 22, 2012: It seems Ingrid Anderson no longer makes these bags. 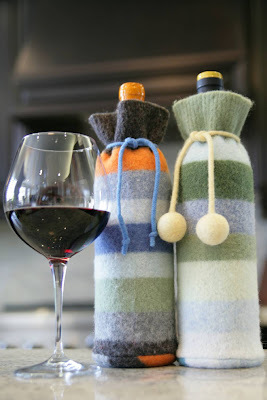 And finally, there are the whimsical wine bottle bags from Toto Knits - "ethically produced in Kenya by a group of local artisans." 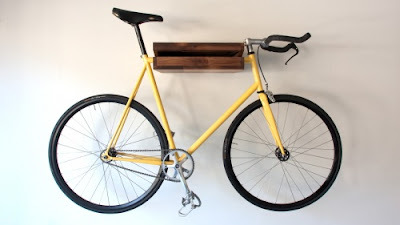 Bicycle storage options abound - but how many of them look cool? For a totally different look, there's the Cycloc. It comes from the U.K., but you can indeed get it in the U.S.; Nestliving is one source. The Cycloc comes in four different colors. Update on Jan. 14, 2013: I'm not able to access Nestliving, but Y Living and Emmo Home have the Cycloc — as do some other sites. 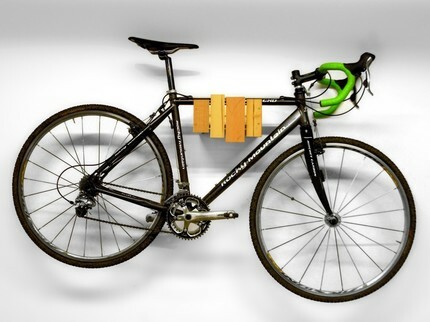 Want to minimize the whole bike storage issue? 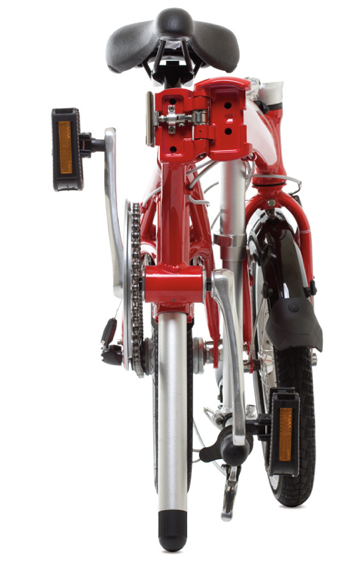 You could get a Dahon folding bicycle. 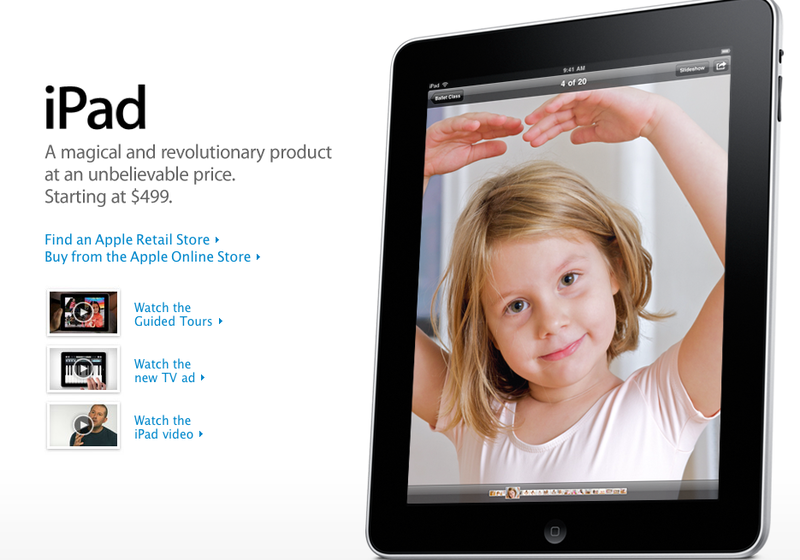 No, this isn't a post about the iPad. But Apple's web site provides a good example of how the judicious use of white space makes a site effective - as Henry Jones points out. I get home, and as I’m hanging up my suit and tie, I notice my crammed-full closet, and I think to myself, Wow! This is a picture of my life. For a man, I have way too many shoes. Shoes sitting on top of each other. Shoes still in the boxes. Shoes for running, shoes for tennis. Golf shoes and walking shoes. I look to the right and I see neatly arranged dress shirts—blues, whites, and others — all packed in very tightly. They could use a little breathing room. So could I. When you love what you do, white space quickly becomes a rare commodity. But without it, even that thing you love to do can become burdensome. But of course in practice it’s a bit different, and requires experimentation, learning, practice. Recently, I’ve been canceling a lot of things from my calendar. Just canceling. It feels quite rebellious. My life, like yours, is full of projects, work, family, errands, all kinds of lovely people, closet organizing aspirations….I could go on and on. I filled up the calendar with all that good stuff and found myself feeling bummed out by it, anxious and resentful. 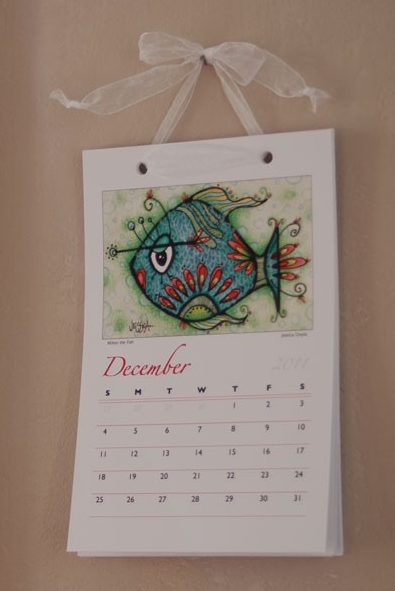 I wanted white space – not a zoo of text – on the calendar page. Note: The quote above had a typo on the original site, which I've corrected. Does this concept resonate with anyone? Do you feel the need to add white space to some parts of your life? Please share your thoughts in the comments. 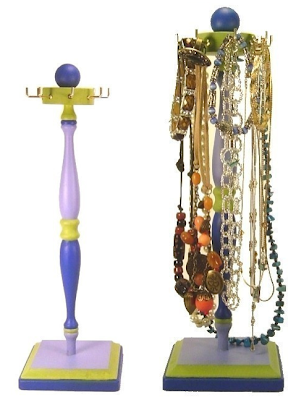 While peg racks are a great tool, as I recently noted, what about something a bit different? 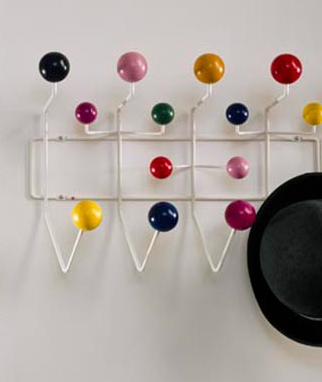 One of the best-known wall-hanging racks is the Eames Hang-It-All from Herman Miller. 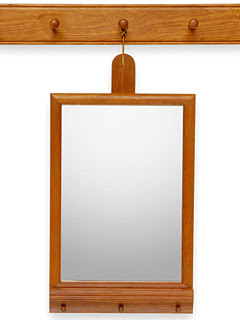 And now, if you don't like the multi-color look, you can get the Hang-It-All in walnut. 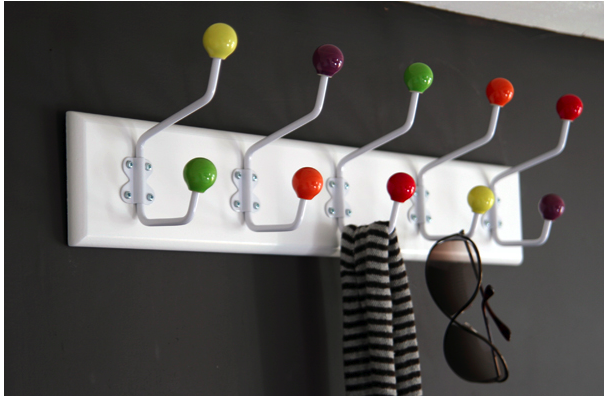 If you do like the multi-color look, maybe you'd like the Multi Spot Coat Rack, which certainly seems to be inspired by the Hang-It-All. 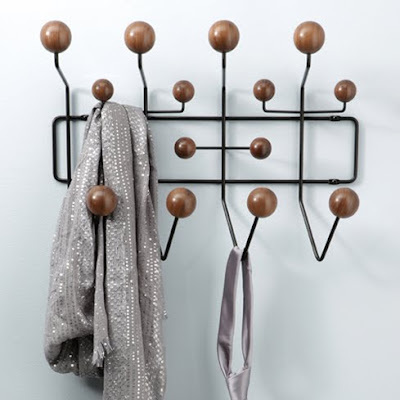 And finally, for something totally different, there's this pipework coat rack! 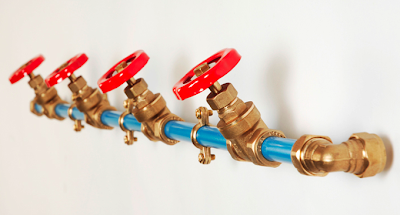 It's available in five different colors of pipe. 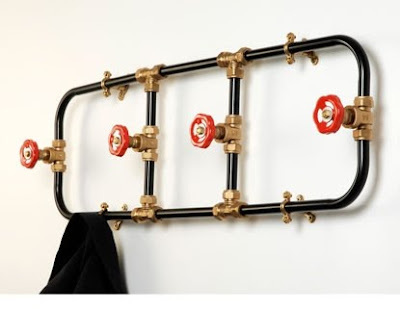 It's by Nick Fraser, who also makes this version of his pipework coat rack. Would you also like colorful staples? Itoya used to sell some nice ones - I've used them, so I know the quality is good - but the company seems to have discontinued the product. 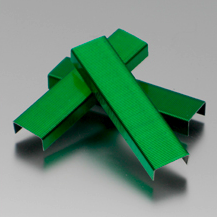 I'm finding one store still selling some of Itoya's green staples, though. 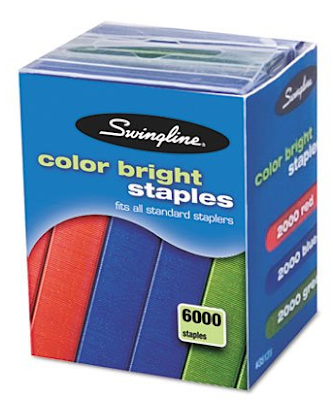 Swingline sells its Color Bright staples in two sizes. You can get a packages of 6,000 (2,000 each of red, blue, and green) or a package of 2,000 in either purple, blue, teal or green. Note that some reviewers are quite critical of the larger package. 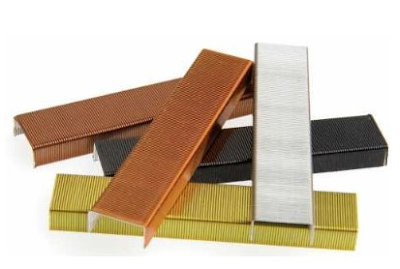 Making Memories is focused on scrapbooking and crafts - but the company does sell colored staples (light colors, dark colors, and metallic) that fit all standard-sized staplers. And yet another source is Dyer Germany, which makes red, blue, green and gold staples. The Conran Shop currently has the red and blue ones. Pringle and Zimring carries what appears to be the Dyer staples, in blue, green and red. 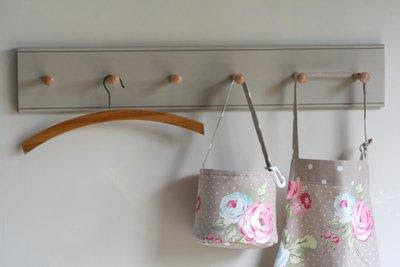 Peg racks can be a wonderful storage option - holding coats, hats, towels, necklaces, dog leashes and more. 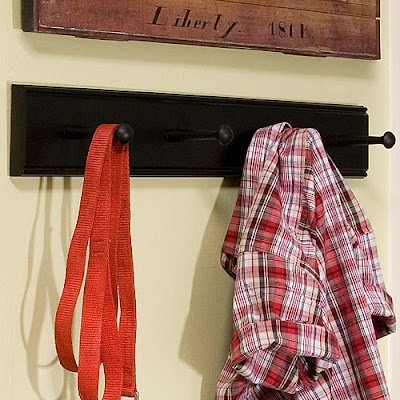 This Shaker peg rack comes from Sturbridge Yankee Workshop. 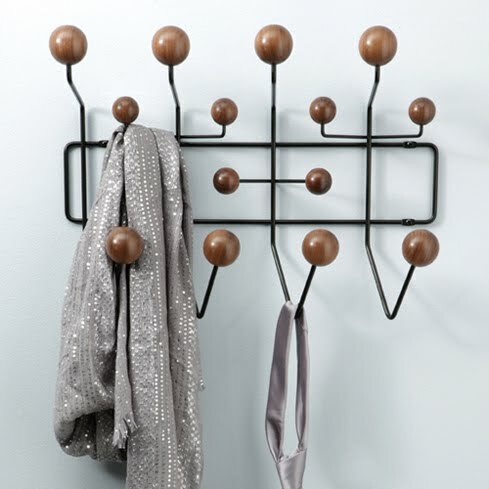 Over in the U.K., Alison Capeling makes lovely peg racks in six different colors. And South West Pine has peg rails in wonderful colors. 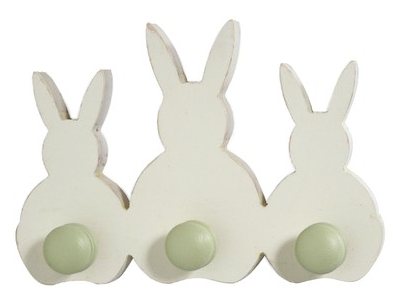 If you like whimsical, there's this bunny peg rack from Fairbourn Childrens Furniture, sold through Coriandr and Etsy. Update on January 9, 2012: These don't seem to be for sale on Etsy any more. And you can also take a look at the peg racks from NHwoodworking and The Period House - neither of which has very good pictures, unfortunately. 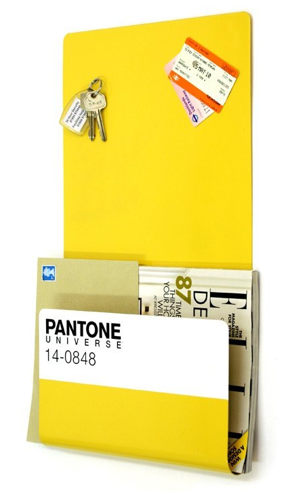 Still like your paper calendars? You've got lots of company - and lots of calendars to choose from. 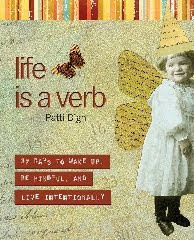 Here are some of the 2011 calendars that have caught my eye. 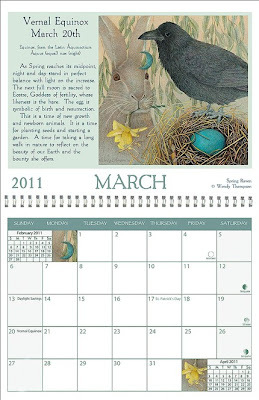 Let's start with this stunning wall calendar by Wendy Thompson. 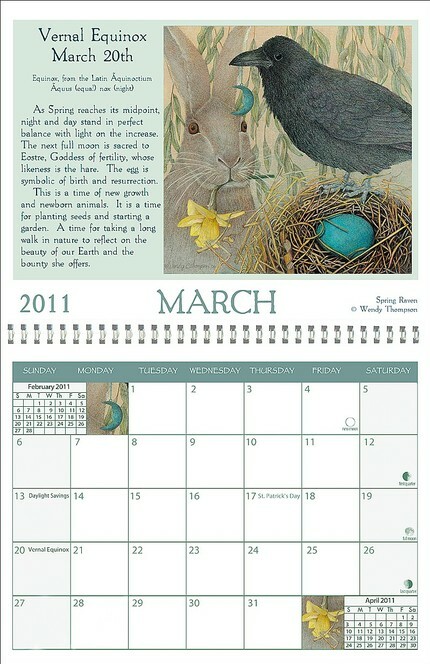 She has another nature-inspired calendar that's pretty spectacular, too. Jessica Doyle's wall calendar is filled with sea life. Lots of animal rescue groups publish calendars as part of their fundraising efforts. 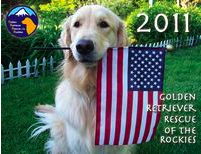 Most of them aren't available yet, but the Golden Retriever Rescue of the Rockies calendar is an exception. The Faces of Courage: 2011 Calendar of Breast Cancer Survivors is available for pre-order. 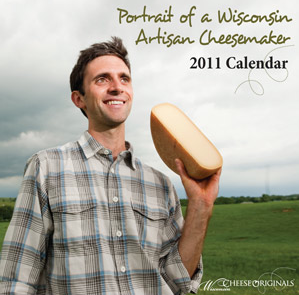 You can see a number of the photos used in the calendar on photographer Jen van der Vecht's web site. At some point in your life, you'll only have thirty-seven days to live. Maybe that day is today. Maybe not. Such a day arrived on October 24, 2003 for a 6-foot, 5-inch tall man with a southern accent, a golfer's tan, five World War II Bronze Stars, and a forest-green Lincoln Town Car. On that beautiful day, he was diagnosed with lung cancer. He died just thirty-seven days later. That man was my stepfather, Boyce. Unsurprisingly, this caused Digh to wonder: "What would I be doing today if I only had thirty-seven days to live?" And her answers to that question resulted in this book. The book is filled with stories and suggestions; there's a good chance you'll find at least one idea that resonates with you. Here's the story that relates to decluttering - a story of Digh's daughter, Emma, showing her portfolio of drawings to some illustrators at a convention. As one of them turned the page in her portfolio, I heard Emma say, "That's not really a good one." What in my portfolio (where portfolio means house, life, brain, relationships) should I keep? What should I sell? What should I toss? Do you forget what jewelry you own if it's hidden away in a drawer? Are you tired of tangled chains? If so, here are some storage options to consider. 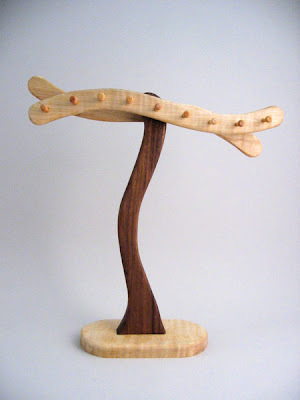 This lovely hand-crafted necklace tree comes from Dave’s Woodcraft Studio. You can pick from three different wood choices. 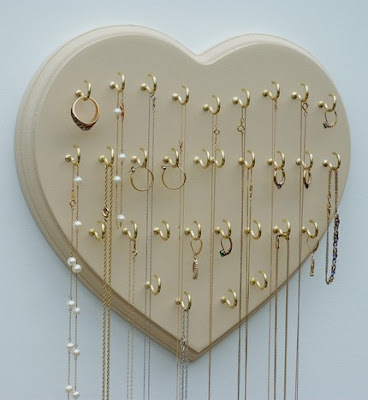 Anne Ball provides a very different style of necklace tree. You can select from two different sizes, and a wide range of colors. Dion and Tammy of EZNecklaceHolder provide wall-mounted options, in a heart shape or a basic rectangle. 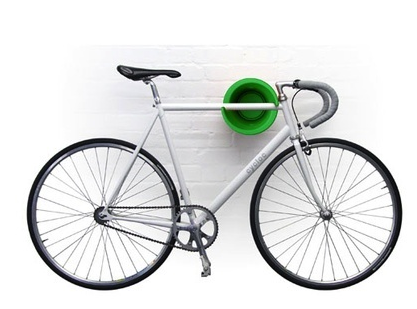 And of course the do-it-yourself options are endless. For inspiration, take a look at what Emily did with knobs from Anthropologie. 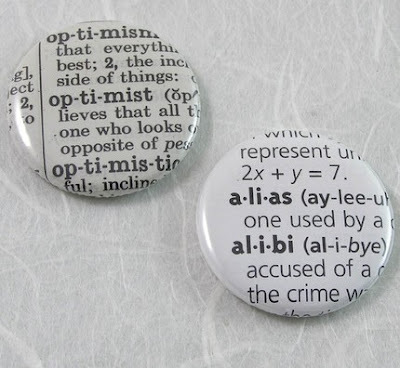 Speaking of word nerds, how about these dictionary magnets from XO Handworks, custom-made with your choice of words? Jocelyn Proust Designs of Australia makes hand-painted tiles - and some eye-catching hand-painted fridge magnets. And finally, take a look at Say Hi Beth - who sells science and math magnets (and many more). 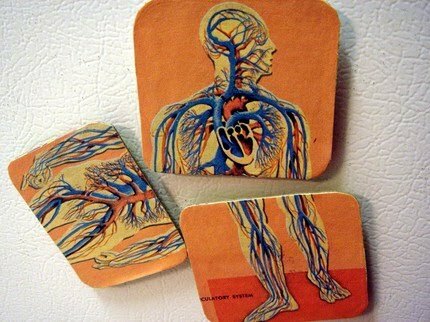 Her magnets are made from "old recycled children's books and textbooks, many of which were saved from the rain and other elements." Reader Question: Organising products for those of us in Australia? Like to use a magnetic board to keep a few key pieces of paper in front of you? 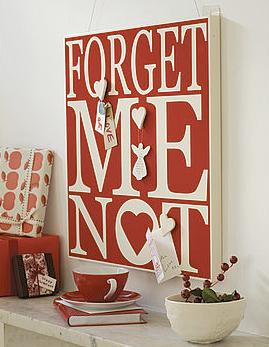 Then you might be interested in some of my latest finds, including this forget-me-not board from Green & Co.
For nice fabric-covered magnetic boards (and a groaner of a pun), head over to Board Silly. The company also sells hand-painted magnetic boards. 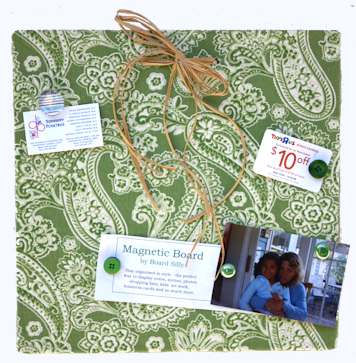 ReMemory Designs is another company with a wide range of magnetic boards. Just a few years ago, Nikia Wigfall needed only to drive to the nearby marshes to harvest the sweetgrass that she and other descendants of slaves weave into the beautiful baskets sold to tourists in and around this antebellum port city. When I wrote about pine needle baskets a few days ago, commenter JustGail mentioned sweetgrass baskets - and while I'd come across them before, her comment made me really take a good look. 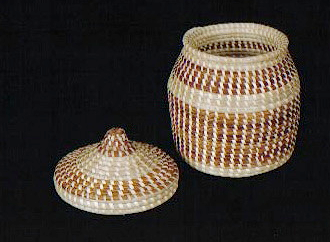 The story behind these baskets is fascinating; the article I quoted briefly is worth reading in full, and there's a sweetgrass basketry site with pointers to more good reading. And some of the baskets are just stunning. 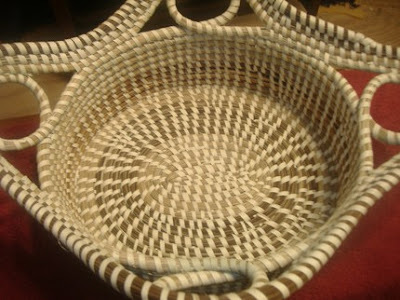 This "elephant ear" basket is made by Lillie Howard, and can be found at Edisto Sweetgrass Baskets or Artists and Artisans Gallery. 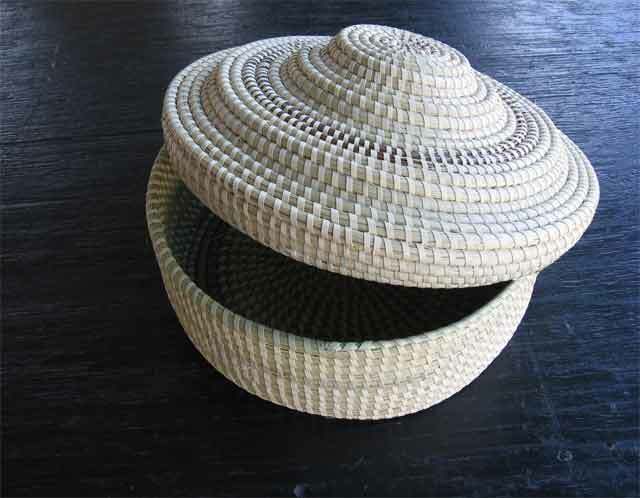 This lidded basket comes from Darryl and Angela Stoneworth of DNA Sweetgrass Baskets. 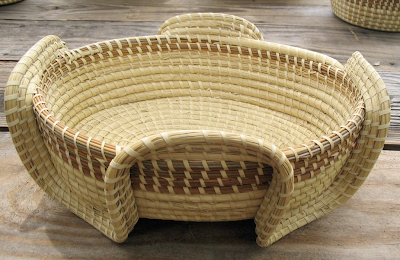 And this "canister basket" comes from Sweetgrass Baskets of Charleston by Eva Wright. Ruthy sells her sweetgrass baskets on Etsy. All the basketmakers shown here make baskets in many styles, so their sites are worth a look if you want to see more lovely things.